The University of California introduced the Chandler walnut in 1979 and named it after W.H. Chandler, Professor of Pomology, at U. C. Davis. Today it is the most prominent variety grown in California. The Chandler walnut is large, smooth, and oval shaped with a good shell seal. Chandler walnuts are known around the world and are highly prized by buyers for their extra light and high quality kernels. 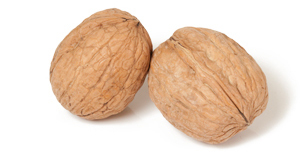 Harvested mid to late season, Chandler walnuts provide one of the highest kernel yields of any of the varieties.